Here at Dave’s Computers, we believe in getting the most out of your electronics. Don’t trash anything that can still be used. TVs are usually expensive and serve only one purpose. If you have migrated to a laptop or tablet, but still have a fully functional monitor you are probably wondering what to do with it. Did you know that your old monitor could be used in lieu of a TV? You can watch movies or stream movies on your monitor. Check to see that the monitor supports HDMI input. Confirm the monitor is HDCP Compliant so HDCP protections that have been put in the HD content by the distributors to prevent piracy of content can be decoded. You need to check that there is an audio out jack or integrated speakers so you won’t have to get a sound adapter. If you have a newer monitor, a $30 investment in Chromecast might be enough to get your monitor showing TV and movies. Your Chromecast device will let you stream any of your subscription services and also access YouTube, sports, and music through a number of apps that can be supported by the device. Recently, Chromecast services that are compatible such as Sling TV and DirectTV have made it possible to stream cable stations such as HGTV, TNT, and others to your Chromecast device for as little as $20 each month depending on the provider and tier that you choose. This is a fast and simple plug and play option. Just take the Chromecast and plug it into your monitor. Then you will power up the monitor and set up the Chromecast with your mobile device. Your tablet or smartphone can act as a remote control after Chromecast has been set up. The video should readily play on your screen, but you will have to make some effort to get the audio working. One option would be to buy an audio extractor, which is available for about $25. The next option is to Screencast to a Chromecast that is attached to your monitor. A portable speaker attached to your phone or hook to a home theater system that is compatible by using an Aux cable. This should work but could cause a lag between audio and video. Usually, Chromecast isn’t compatible with older monitors. In the event the Chromecast is not compatible, you should keep the receipt so it can be returned if necessary. You can use a converter for HDMI to DVI with audio out. But you should know that many users have indicated that the Chromecast doesn’t work on those devices that don’t have a resolution higher than 720p. Check to make sure the input of your monitor has been set to the port that you have used to plug in Chromecast. 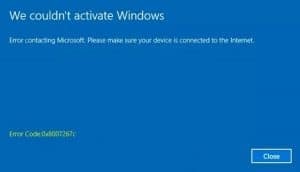 If you are getting a blue screen displaying a message that says “HDCP Unauthorized. Content Disabled” an HD device such as Chromecast isn’t compatible. If the device sends the video without audio, try running Netflix, Hulu or a similar app on the Chromecast device rather than a mobile device. If you want to watch local television broadcasts on your monitor, you will need a subscription for satellite or cable TV and either an antennae or TV tuner box. Usually, you can connect cable or satellite receiver boxes to the monitor as long as the monitor doesn’t have integrated speakers. If the input on your monitor doesn’t match up with the receiver box outputs, you might need an adapter. There is a chance you might be able to use an antenna to see local broadcasts but it is dependent on your broadcast area. There are indoor HDTV antennas available to provide coverage of a 35-mile radius. If you need a wider radius, such as up to 75 miles, you should go with an outdoor antenna. You will need what is called a TV tuner box to serve as a bridge between the antenna and your monitor. If your monitor doesn’t have integrated speakers, you can get a tuner box that has sound output. If you run into any trouble or have any additional questions, feel free to call us here at Dave’s Computers.